SouthGroup Gulf Coast - Your Trusted Choice: A Merry Christmas to All! Be Safe and Enjoy! A Merry Christmas to All! Be Safe and Enjoy! -Ensure your vehicle is properly maintained. Check your tires and fluids and make sure all of your vehicle maintenance is up-to-date before you hit the road. -Map your travel route in advance and be prepared for heavy traffic. Traveling means you’ll be leaving your home unattended for some time. Don’t let your home be open to the dangers of severe temperature drops, burglary or fire. -Do not dispose of boxes for electronics in your front yard. This is like advertising that you just purchased a new TV. -Be sure someone is collecting your mail. Overflowing mail broadcasts you're away. -Do not post about long term absences on social networking websites. It is always best to share the adventures of your vacation after you return home rather than while you're away. Cooking a feast? Be sure to follow these important tips for safe food preparation! -Thaw frozen food safely in the refrigerator, under cold running water or in the microwave-never at room temperature. Most importantly, enjoy your loved ones during this special time and ensure all of your safety so that you can enjoy these memories for years to come. 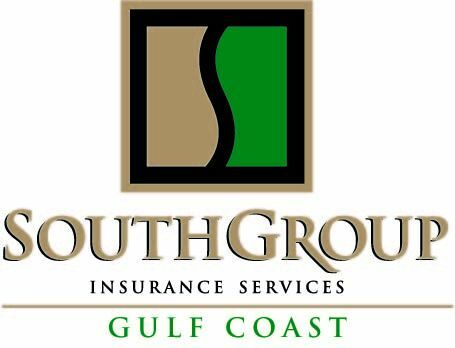 SouthGroup Insurance Gulf Coast wishes all of you a Merry Christmas and Happy New Year and we look forward to serving you in 2014. Please be sure to share your good advice with us and our readers and follow our blog for more useful information throughout the year! We are your LOCAL Trusted Choice Advisors, SouthGroup-Gulf Coast http://www.southgroupgulfcoast.com / , SALES AND SERVICE AGENTS: Angelyn Treutel Zeringue, Tammy Garfield, Tammy Hogue, Brittany Jones, Wendy Johnson, Denise Russell, Melissa Moran, Alex Treutel, Susan Monti, Anne Gillam, Ashlie Moody, Michael Reso and Whitney Zimmerman at SouthGroup Gulf Coast. You can reach us by snail-mail or in person: 412 Hwy 90, Suite 6, Bay St Louis MS 39520, email: atreutel@southgroup.net , phone:228-466-4498, fax:888-415-8922, FaceBook www.facebook.com/southgroup.gulfcoast , or Twitter www.twitter.com/atreutel ! Farewell 2013 - What Have YOU Learned This Year?